Just about everybody loves pizza and you can get it almost everywhere, but it’s not always the healthiest depending where you get it. In my previous recipe, Homemade Pizza, I explained a delicious way of making healthy pizza. In this recipe, I’m throwing a twist on it. 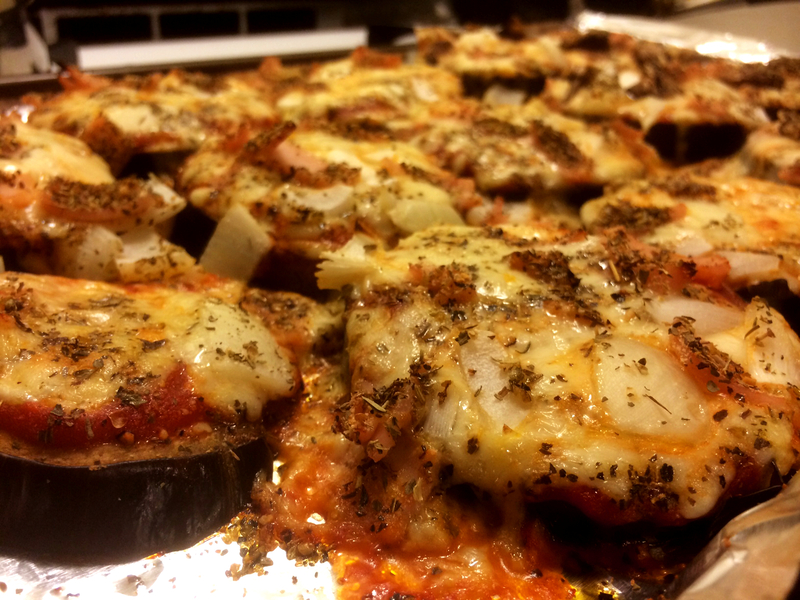 Instead of using bread for the crust, you use sliced eggplant. To give it some crisp, you can coat the eggplant with breadcrumbs, but in this recipe I didn’t use it. What makes this dish so tasty is that it’s halfway between pizza and eggplant parmesan. 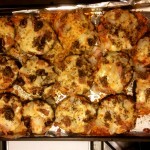 Unlike chicken parmesan where the focus is on the chicken, eggplant parmesan’s focus is on the sauce and cheese. It gives it a lighter and more delicate flavor. For the gluten intolerant people out there, eggplant is a great alternative to using bread. Let’s take a look. Preheat the the oven to 375 degrees. Slice the Eggplant into half inch slices. Coat a baking sheet with non-stick spray or canola oil and place the eggplant slices onto the sheet. Scoop some Tomato Sauce onto the eggplant and spread it out to fully coat the surface. Sprinkle grated Pepper Jack Cheese on top to cover the tomato sauce. If you’re a vegan, use a soy based cheese instead. Now its time to season it. Add Garlic powder, Onion powder, Black pepper, Basil, Oregano, and Paprika for taste. If you have a favorite seasoning for Italian food, feel free to add some. 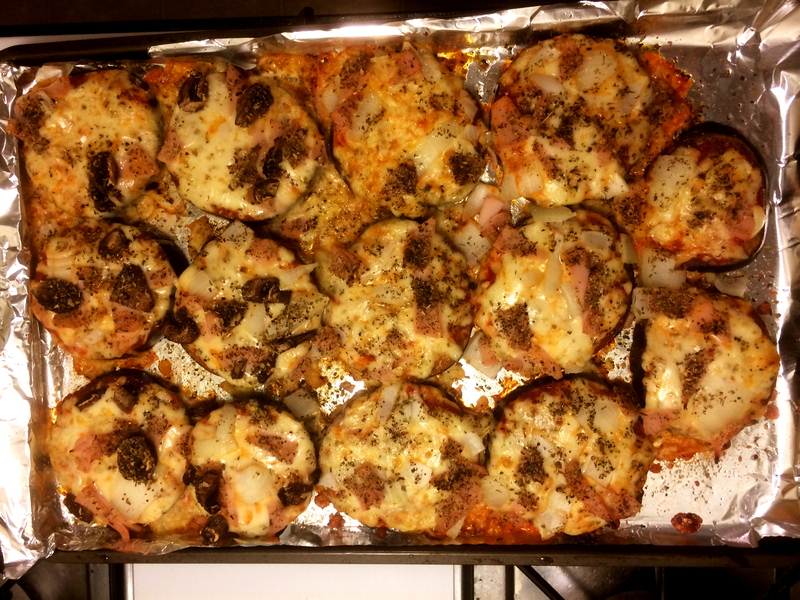 For pizza toppings, I used Onions, Mushrooms, and Sliced Turkey. You can add whatever toppings you like on pizza. Cook in the oven for 12-20 minutes or until the cheese forms a light golden brown. Cheese retains heat very well. Let it cool down for a few minutes before attempting to eat. Then Enjoy!